Yes, you read that right- Gen Z moms. 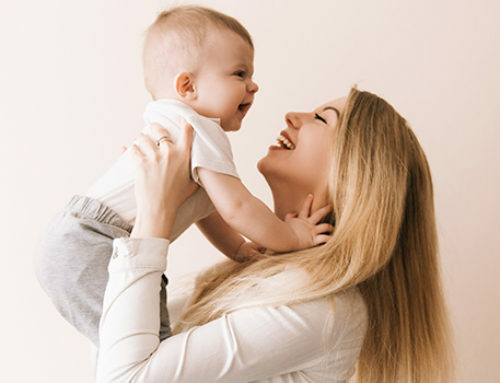 Although many marketers are still trying to capture the spending of the youngest Millennial Moms, the first Gen Z moms are arriving. The oldest women of the Generation Z are now between 18 and 22 years old. According to Fast Company, Gen Z consumers will dominate the economy by 2020 and out-number the Millennial population. Gen Z moms who were born into technology don’t know a world without texting, SnapChat, or online buying, so they will demand new marketing to moms tactics. 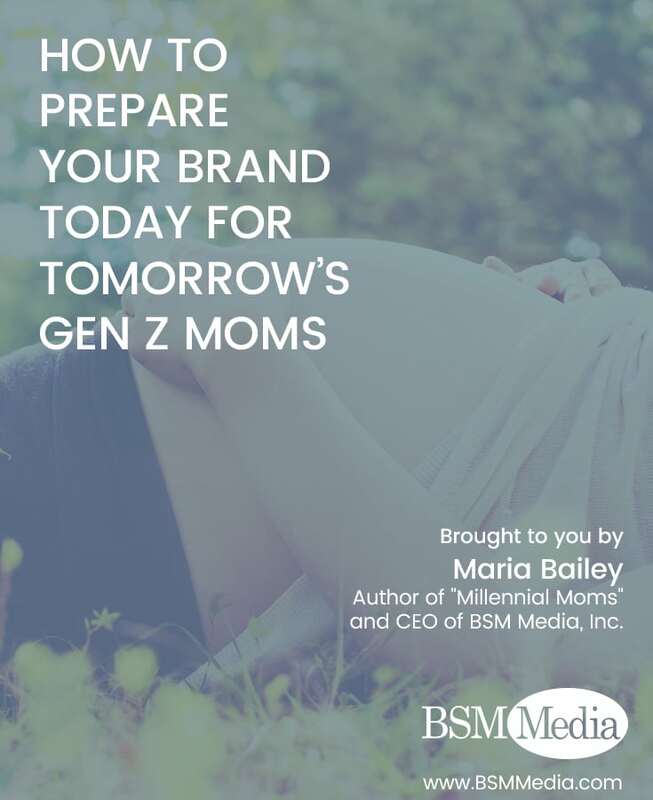 BSM Media, an award-winning marketing to moms agency, and its CEO, Maria Bailey, author of Millennial Moms, have been studying the Gen Z population since its conception. Based on their behaviors as they’ve developed, we’ve put together this list of considerations to help companies prepare their brands for the Gen Z mom. 1. Neutral colors will replace pink and blue in their baby’s nursery. Not only is yellow the color of Generation Z, but it is also the color that these individuals choose to decorate with. Other home décor and DIY essentials include twine, brown/matte paper, and mason jars. They love nature and have fueled the popularity of succulents. A visit to any college dorm will confirm that Gen Zers gravitate to the muted brown and grey tones of neutrality which may be an off shoot of their acceptance for gender neutrality and skin colors. For companies designing products for the Gen Z mom, it’s time to change your color pallet. 2. Pre-owned products are as popular as new ones. Gen Z moms-to-be have an appreciation for vintage and retro vibes. This translates directly into their fashion sense, which has evolved to include increasing amounts of gently used clothing. They use the term “thrift” as a verb, as in, “I went thrifting.” They grew up using apps like Poshmark to sell and buy clothes. They empty their closets and earn spending money from Plato’s Closet. As moms, Gen Zers are likely to make “hand-me-downs” fashionable. Brands will need to consider how they re-purpose old inventory to connect with Gen Z moms. I foresee the day that Gap has a “thrift section” in their retail stores to attract the Gen Z women into their brick and mortar locations. Whatever the approach, brands need to recognize that repurposing products is acceptable by Gen Z moms. 3. Reviews matter more than ever. This is a population who grew up counting “likes” on an Instagram selfie. As moms, they will want to see more than a few product reviews on Amazon. They will seek out reviews about your product on multiple platforms from multiple communities of peers. Marketers may have to reward consumers for sharing on social media or incentivize customers for rating their products. In-store reviews will also matter. I see points of purchase displaying online product reviews at the shelf in front of the product or digital screens with review videos by peers playing in loops. 4. Consumer generated content will out-perform traditional advertising. From carefully curated selfies to YouTube tutorials, Gen Zers have been producing digital content since they were toddlers. Many were the objects of their mom’s blog and today have their own social media brands. The Gen Z population seeks the opinions of their peers and as they enter motherhood, marketers can be assured peer-to-peer content will play a major role in their buying decisions. Marketers will be wise to redirect their budgets to focus on micro-influencers who create video content. 5. Taglines will need to change to convey a deeper meaning. “Live your best life”, #MeToo, and “Girls Support Girls” inspirational and bold signage adorn the bedrooms of today’s Gen Z teenager and young adult. Words mean more to these women who use hashtags to communicate their feelings. The Gen Z fem expects brands to align with her values and stand for something bigger than profits. She will become loyal to companies who are proud of their mission and not afraid to share it in a strong tagline. 6. Artificial Intelligence will be her personal assistant and mommy helper. The Gen Z mom will be as busy as her predecessors who juggled children, work, and life; however, she will have new help in artificial intelligence. Whether it’s using Alexa or Siri, she will engage the help of artificial intelligence to make pediatrician appointments, reserve a hotel, or book her family’s meals at Disney World. Artificial intelligence will not only serve as an extension of your customer service but will also be a critical marketing tool. 7. Someone else will do her shopping. The Gen Z mom will still be the chief household decision-maker when it comes to making family purchases; however, she will likely send someone else into the store to pick it up. The tech-savvy and app-addicted Gen Z mom will use technology like Shipt to get more done in her day. She’ll shop online and what she doesn’t want to have delivered, she’ll send someone else to pick it up. 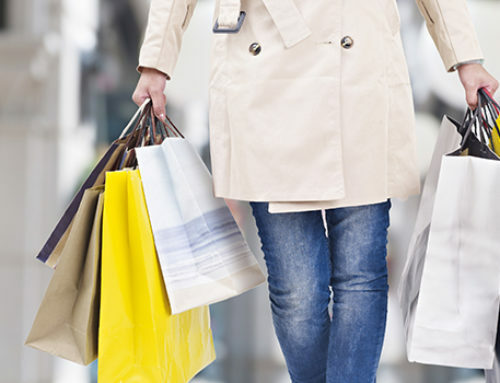 This presents a new challenge for retailers – how do you capture the incremental and spontaneous purchasing power of moms if she is sending someone else into your store to pick up her purchases? Retailers will be forced to do their suggestive selling online and in partnership with apps. 8. Food preparation will take on new forms, shapes, and flavors. For every generation of mothers, what and how she feeds her family creates opportunities and challenges for brands. Millennial moms redefined home-cooked dinner by adopting pre-packaged dinner kits like Hello Fresh and Papa Murphy’s bake at home pizza. The solution-oriented Gen Z mom will continue the trend. Meal time for the Gen Zer is a social event, and as moms, the opportunity to bond with her children while eating is likely to be more important than cooking from scratch. We can expect to see a rise in home-delivered meal kits and pre-cooked foods that come complete with a unique dining experience like conversation cards and customized playlists. If the popularity of acai bowls with Gen Zers is any indication, food companies will have to offer new combinations of exotic flavors to please the taste buds of the Gen Z mom. The popularity of Snapchat is one of the biggest indicators of how the Gen Z female will behave as a mother. She is conditioned because of this quick capture app to snap the reactions of herself and friends and share it with others. The Generation Z population enjoys watching unrehearsed reactions to life, lessons, and products. Remember the Ice Bucket Challenge? The appeal of this fundraiser was seeing the reaction of people as cold water was poured over their head. The Gen Z mom won’t be satisfied with a written review of a product; she wants to see an authentic reaction to a friend using it. As a marketer, if you don’t know about Twitch, it’s time to become an expert on it. 10. Repurposing will give a second life to Pinterest. HGTV was likely playing on the TV as she was growing up, and it’s left its mark on the Gen Z mom. She has not only an appreciation for repurposing but also enjoys the challenge of DIY projects. This generation can make purses from duct tape and create a make-up table with mason jars, and she finds her ideas on Pinterest. This means that consumer product companies will need to look at their products and packaging through the lens of a Gen Z mom. Yogurt sold in small jars, crackers that come in small tins, or vegetables packaged in re-sealable bags all give Gen Z moms a way to use the product beyond its intended use. The Gen Z mom is likely to turn that yogurt jar into a cotton swab holder or a cactus planter. HP’s MyPrintly boards, which share DIY projects for moms on Pinterest, receive over 1.8 million views a month, and this Pinterest engagement is likely to grow with the Gen Z mom. 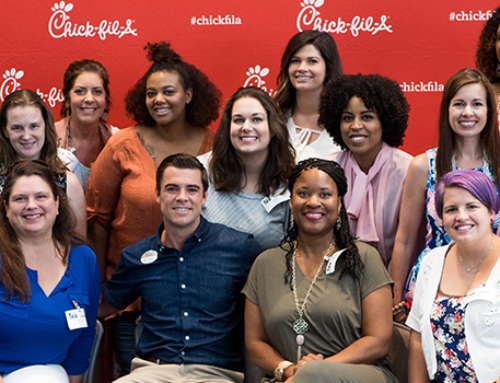 Companies who begin now to prepare now for the Gen Z mom will reap the benefits of this powerful consumer group as they become mothers. It’s not too early to turn your attention to the next generation of moms. Look for the upcoming book, “Marketing to the Millennial and Gen Z Mom” by Maria Bailey and Megan Bailey this fall. Both authors are available to speak and strategize with your team.